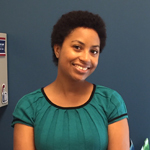 Dr. Liana R. Taylor is an Assistant Professor of Criminal Justice in the Department of Social Sciences. She teaches Criminology, Statistics, Research Methods, and Program Evaluation. Dr. Taylor received her B.A. in Psychology at the University of Cincinnati and her M.A. and Ph.D. in Criminal Justice at Temple University. She then completed a Postdoctoral Research Fellowship at the Department of Criminology, Law & Society at George Mason University. While completing her doctorate degree, Dr. Taylor was awarded the National Institute of Justice Graduate Research Fellowship, which funded her dissertation research. During her undergraduate tenure, Dr. Taylor was part of the Golden Key Honor Society, McNair Scholar’s Program, and The University Honors Scholars Program. Dr. Taylor is currently a member of the American Society of Criminology, American Evaluation Association, and American Statistical Association. Her research interests include correctional programming, substance abuse treatment, and program planning and evaluation.